NPDES is Here – Pond Owners and Managers Take Notice! Contact our office today to schedule a consultation with our staff to make sure you are prepared to answer those VERY important questions from homeowners and Board members. CLICK HERE TO VIEW AN INSTRUCTIONAL VIDEO ON NPDES! 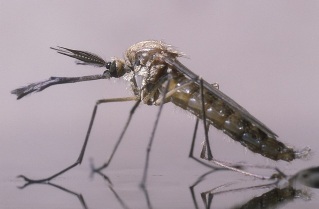 Spraying pesticides on your lake this year? Know the rules by contacting a professional lake manager. Kevin Tucker is the president of SOLitude Lake Management®, specializing in pond and lake management. SOLitude Lake Management® also controls pond management interests in West Virginia, Pennsylvania, Maryland, Delaware, and North Carolina. This entry was posted in News and tagged apply the right amount of weed control, Bathymetric Map, Data Conversion, Dredging, Engineer Bathymetry, Engineer Lake Map, Fishing, GIS, GPS, GPS Lake, GPS Map, Habitat, Hunting Land, Hunting Property, lake, Lake Management, Lake Map, Lake Mapping, Lake of the Ozarks Fishing Map, Lake of the Ozarks Mile Marker, Lake of the Ozarks Mile Marker Aerial Map, Lake Survey, map, master planning, Mile Marker Map, Missour Lake Map, Missouri Lake, most affordable, NPDES, NPDES permit, Sediment, Sedimentation, select the correct fish species, smith mountain lake, smith mountain lake bathymetry, smith mountain lake map, Survey, The Mapping Network on January 18, 2012 by Moderator. As ponds age, their composition changes. Years and years of leaves falling into the pond or sediment from stormwater runoff can drastically change the pond’s bottom. What once was a pond that had an average depth of 5 feet may now be only 3 and in some places there may be less than one foot of depth. One of the best monitoring tools a pond owner can use is bathymetry. Mapping the bottom of the pond shows areas of concern and can also give you an idea of when dredging may be necessary. With dredging being such a large expense, pond owners can use this tool to help budget for this project in the future. At this time of the year, when many of you are working with budgets, this tool may be an important one to discuss with your community. Improper planning could leave a community in a situation where a special assessment may be the only solution to cover the expense of a dredging project. Arming your community with this knowledge will prove to have a great impact on the future. A pond that has filled in with sediment from stormwater runoff or other organic sources will have more problems in the long run with algae and weeds and will become less healthy over time. Knowing the water and sediment depths can give you an understanding of what is happening in your pond and the direction that your pond is heading. We can provide you with excellent 3D maps, seen here, to illustrate just what the bottom of the pond looks like. Contact us today to plan for the future of your pond. This entry was posted in Lake Map, Sediment and tagged Bathymetric Map, Dredging, Engineer Bathymetry, Engineer Lake Map, Fishing, GIS, GPS, GPS Lake, GPS Map, Habitat, Hunting Land, Hunting Property, lake, Lake Management, Lake Map, Lake Mapping, Lake Survey, map, Sediment, Sedimentation, smith mountain lake, smith mountain lake bathymetry, smith mountain lake map, Survey, The Mapping Network, Virgina Lake Management on October 31, 2011 by Moderator. Smith Mountain Lake is a gorgeous, 40-mile long, 20,600 acre lake, with 500 miles of shoreline, nestled in the Blue Ridge Mountains of rural southwestern Virginia. Part of an ongoing improvement project required small sections ranging from 0.25 to 3 acres to be dredged due to sedimentation and safety issues. Another area of the lake was preparing for the installation of several docks for the increase in boaters. 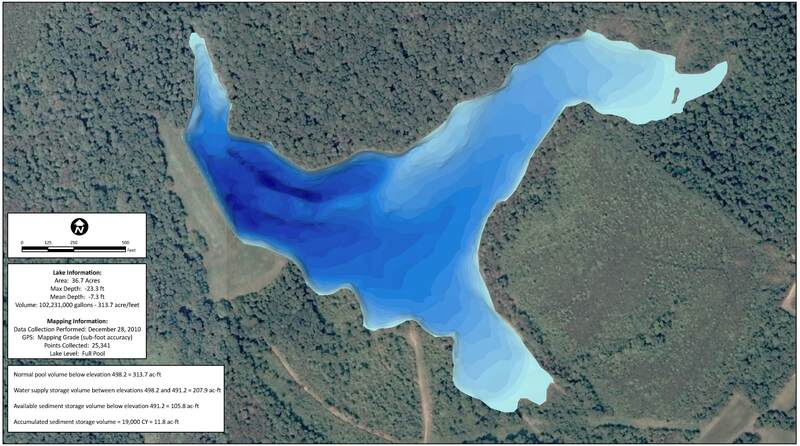 In both cases, accurate bathymetric lake mapping conducted by SŌLitude Lake Management® and The Mapping Network was used as a tool for measuring lake depth and sediment volume to assist the lake in finding the best methods of dock placement and dredging techniques. Engineers now have an updated basemap to monitor future sediment levels and keep boats traveling safely through the lake. How accurate is your lake data? Did you know that many lake maps currently used by decision makers and the general public are either very old (often from the 1950′s) or were the original design plans (usually very inaccurate). Don’t base your management and safety decisions on data that can be several feet off – have your lake mapped by the premier bathymetry survey providers in the country! Only select companies undergo the detailed training provided through The Mapping Network. This group of professional lake mappers have the local knowledge and reputation to proficiently map your lake. Creating an accurate, up-to-date lake map of a cove. This information assists in construction and dredging plans by showing contractors and lake managers exactly what the bottom of the lake looks like. Kevin Tucker is the president of SŌLitude Lake Management®, specializing in pond and lake management. SŌLitude Lake Management® also controls pond management interests in West Virginia, Pennsylvania, Maryland, Delaware, and North Carolina. This entry was posted in Lake Map, Sediment and tagged Bathymetric Map, Dredging, Engineer Bathymetry, Engineer Lake Map, Fishing, GIS, GPS, GPS Lake, GPS Map, Habitat, Hunting Land, Hunting Property, lake, Lake Management, Lake Map, Lake Mapping, Lake Survey, map, Sediment, Sedimentation, smith mountain lake, smith mountain lake bathymetry, smith mountain lake map, Survey, The Mapping Network, Virgina Lake Management on September 29, 2011 by Moderator. This entry was posted in Lake Map and tagged Bathymetric Map, Dredging, Engineer Bathymetry, Engineer Lake Map, Fishing, GIS, GPS, GPS Lake, GPS Map, Habitat, Hunting Land, Hunting Property, lake, Lake Management, Lake Map, Lake Mapping, Lake Survey, map, Sediment, Sedimentation, smith mountain lake, smith mountain lake bathymetry, smith mountain lake map, Survey, The Mapping Network, Virgina Lake Management on August 31, 2011 by Moderator.